It is no secret that AI is among the top growth areas in technology today. Interest Deep Learning has caused an explosion of industry investment into software such as Facebook’s Caffe2 and Google’s TensorFlow frameworks. There is the theme of providing small edge devices with more intelligence has grown stronger. 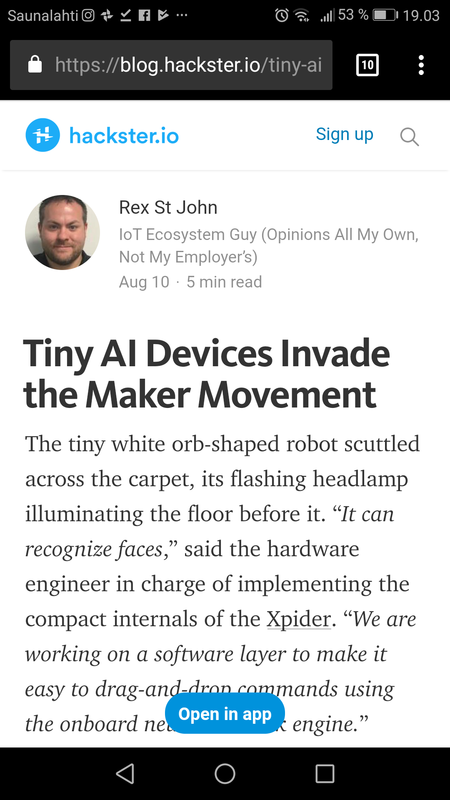 More and more inventive developers and teams seem to be working on solving the next big problem facing the Maker Movement: How to make AI-enabled hardware and perceptual computing gadgets usable to a wider audience of developers. In addition to software we will need freely available and open source training data. Major tech companies have actively reoriented themselves around AI and machine learning: Google is now “AI-first,” Uber has ML running through its veins and internal AI research labs keep popping up.